The culture of Singapore mixes Asian and Western traditions in its very dynamic and proactive approach to nation-building. Added to the British colonial heritage and Western expats’ lifestyle, influences from the majority of Chinese descendants and minorities of Indian and Malay origins are fused together to make the city-state a landmark of modernity in Asia. Within more than 1000 historical and natural sites in the world, the United Nations Educational, Scientific and Cultural Organization – UNESCO – has recognized the importance of the Singaporean culture through the classification of one site for its unique historical, scientific and natural value for mankind. Here are some details and a beautiful picture of this World Heritage Sites in Singapore to keep in mind for the use of travel and tourism professionals, and the viewing pleasure of all. 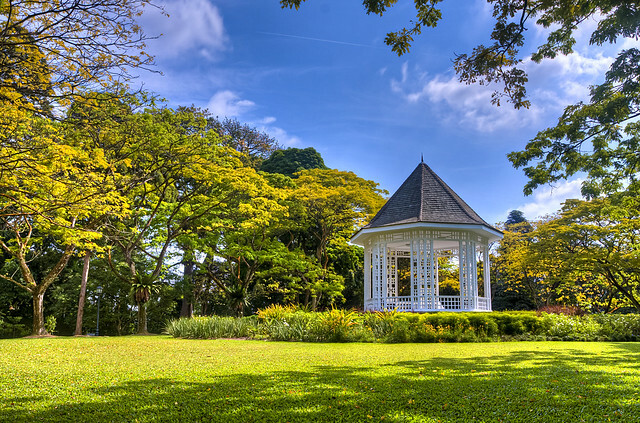 The Singapore Botanic Gardens is a European-style botanic garden of tropical plants, created under British rule in 1859. Since then, it has been a landmark for the Singaporean history and culture, with a significant importance for conservation, science and education. Here is the UNESCO World Heritage Site in Singapore. For more information about them, visit the Singapore page on the website of the United Nations Educational, Scientific and Cultural Organization – UNESCO. What do you think of these World Heritage Sites in Singapore? Do you have some tips to make a better visit? Any other site in Singapore you think should be added by UNESCO? Leave your comments below!